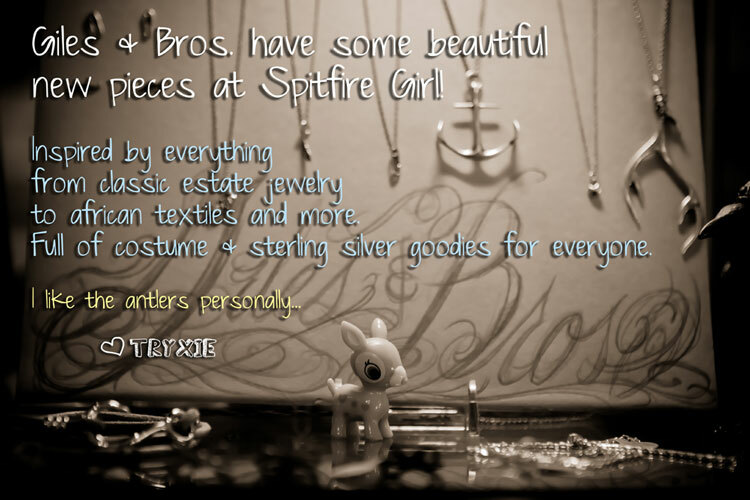 Tag Archives: giles & bros.
Giles & Brother have a-mazeballs wears! Tryxie keeps trying to make off with the uber awesome antler necklace but dangit if it ain’t too heavy for the wee thing. So she’ll just have to sit there and oggle them, from the tiny bat to the tiny feather to the real prize. Christmas is around the corner, I think it’s high time to get started on your shopping folks!